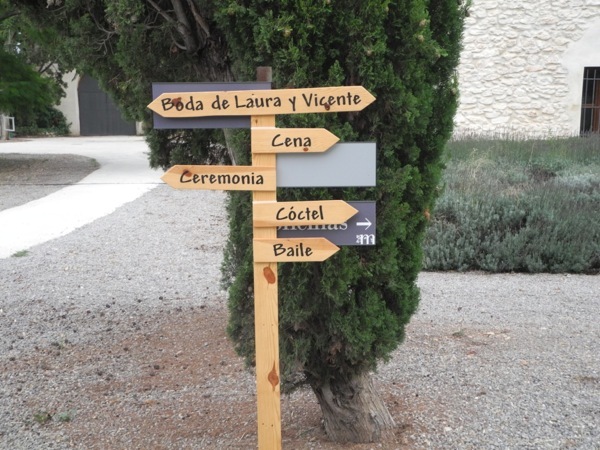 Finding myself invited to a wedding recently, I realized I was grossly underprepared for the traditions and customs associated with weddings here in Spain. What did I need? Well, for starters, a suit was definitely needed. Since I have not known the couple for years and years, I decided to give a gift of money, which is very common — and expected — by attendees to the event. What else did I need to know? Well, actually, there was a great deal I was missing. 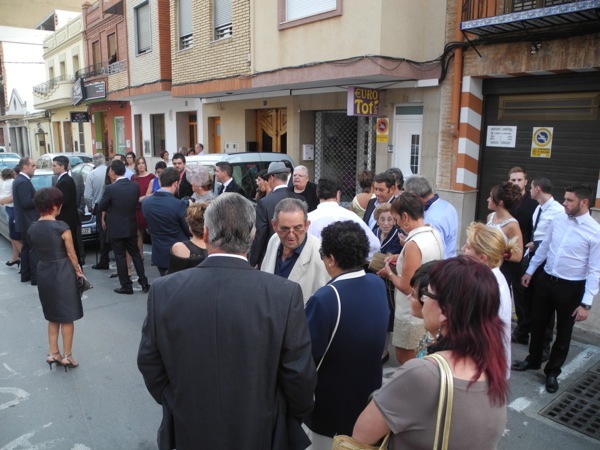 I was invited because my friends knew the groom better than the bride, so on the day of the wedding, we went to Rafelbunyol, a small town on the outskirts of Valencia, to his family’s home. There, along with a group of friends and family, we celebrated with fireworks and cheering as he got into the car (big white American limo) to got to the ceremony. 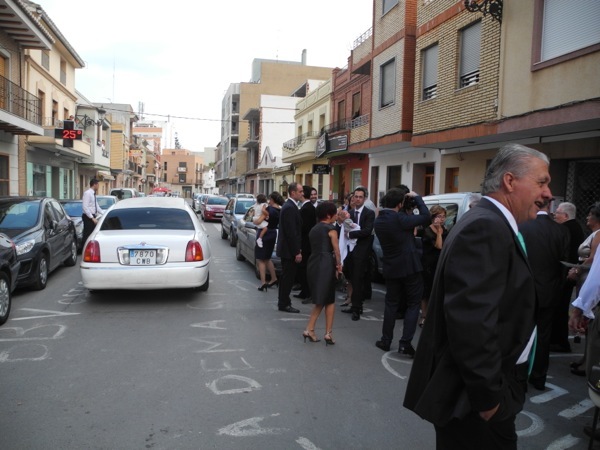 As a pack, we all followed the limousine to the place where the wedding would be held. The wedding venue was in another small town, and absolutely beautiful. I think it was originally a summer estate, but the grounds were designed to make the most of Spanish architecture and weather. Lots of open spaces, and the reception after the wedding included a cocktail “hour,” full sit-down dinner, and a disco-style dance event. 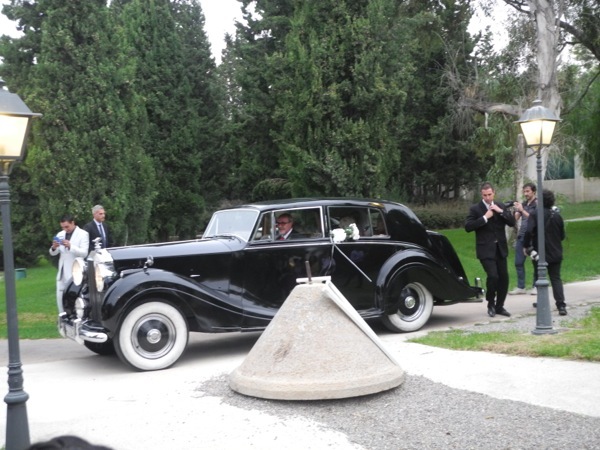 When the bride arrived in a Rolls Royce, we had more fireworks. 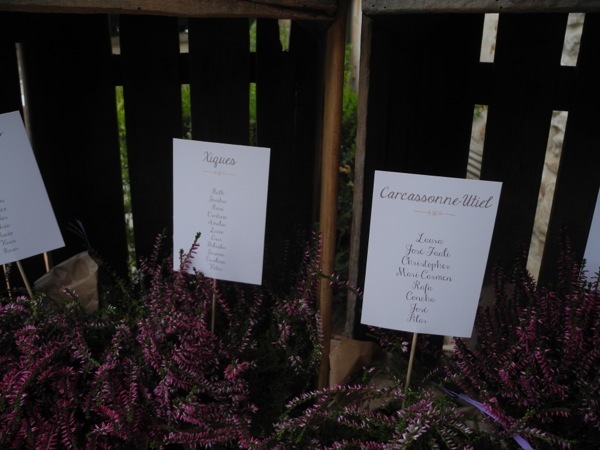 The wedding ceremony was outdoors and delightful, accented by heartfelt sentiments by family and dearest friends. 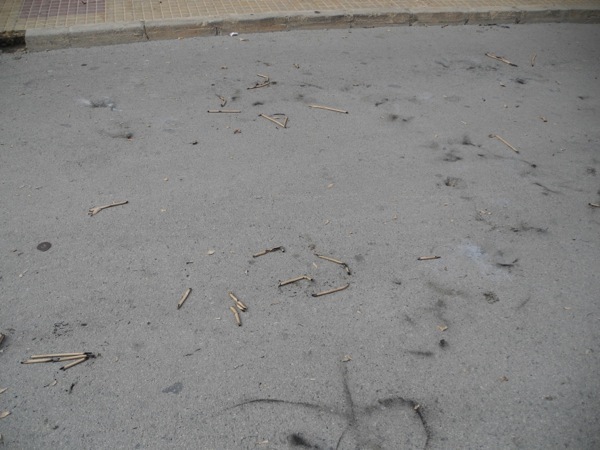 After the wedding was completed… guess what? Fireworks! 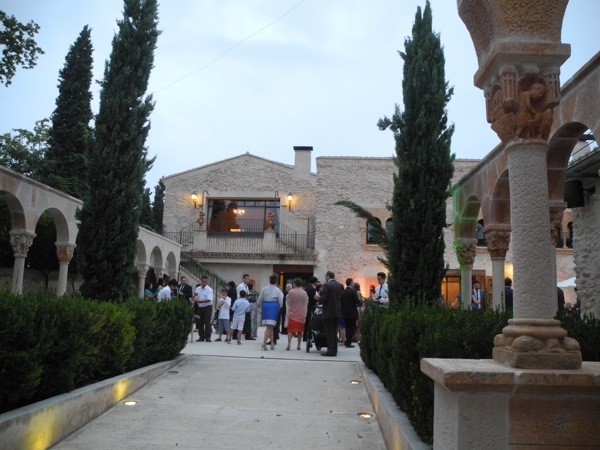 During the reception, the bride and groom would occasionally walk through crowd and distribute gifts to other people and couples in the group. 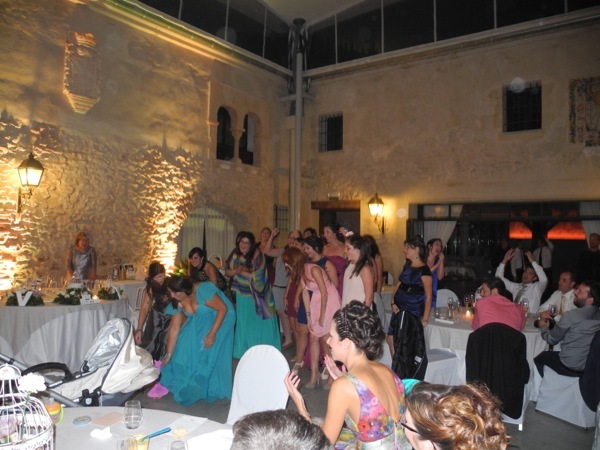 There was the tossing of the bouquet. The sister of the bride sang a song. A slide show of family pictures was presented. The bride and groom gave out gifts to each and every person who celebrated the wedding with them. The groom leaving his family’s home. He’s the one holding the door for his mom to get into the limo. Table designation for guests at dinner. 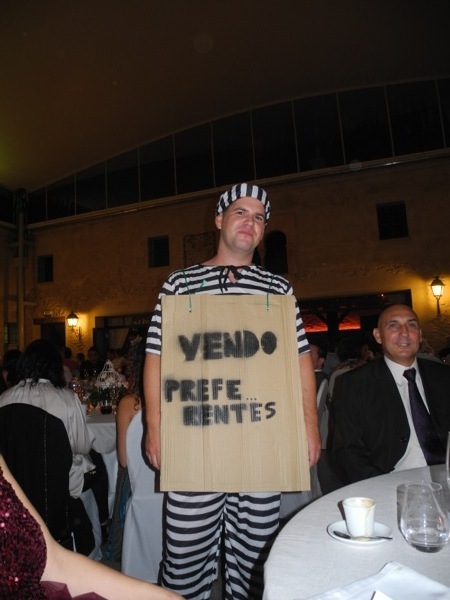 Small inside joke… Vicente is a banker, and during the reception, his friends dressed him as a prisoner. His sign alludes to the financial practices that are less than legal.